There were two Shaolin Monasteries under heaven. One was in the Central Range of Song Mountain in Henan Province. It had a long history, and at the end of the Sui Dynasty and the beginning of the Tang Dynasty, it was famous in the four four seas because of “thirteen monks with staffs saved the King of Qin” (who later became the first Emperor Taizong of the Tang Dynasty). The Shaolin Monastery was conferred by imperial degree as the “First Monastery Under Heaven”. Another Shaolin Monastery was built during the middle of the Ming Dynasty in Quanzhou of Fujian Province on Nine-Lotus Mountain. At that time, the areas around the south-eastern sea were frequently attacked by Japanese pirates who plundered ships, killed citizens and robbed wealth, causing great disasters to the people and instability to the country. About the time of Emperor Jiajing (who ruled from 1521 to 1567), the Governor of Guangdong and Guangxi submitted a report to the Ming emperor, requesting monks from the Shaolin Monastery to subdue the pirates. The Venerable Yuekong led Shaolin monks, together with General Yu Da You and General Qi Ji Guang, defeated the pirates. To honour them, Emperor Jiajing built the southern Shaolin Monastery. The Venerable Chee Seen was taken aback. The poetic couplets were written in earlier generations, and although there was no explanation for all the individual words, each person could interpret the poetic couplets differently. The first line of the first couplet, “Going out of the gate, at dawn see the face of the emperor” did not refer to the face of the Qing emperors, but to those of the Ming. In the end line, “Entering the monastery understand the heart of ancient Buddha”, “the heart of ancient Buddha” did not refer to government aims and aspirations, but to the task of “overthrowing the Qing and restoring the Ming”. The poetic couplets inside the main hall were strange. In a Buddhist monastery, they should be such phrases like “Clear Heart See Nature” or “Cultivate and Understand Zen Secrets”, but why were they singing praises of heroes and champions, and martial art? Actually there were secrets hidden in the open. The line “All depend on martial art to repay the king” did not mean to protect the the Qing empire, but to restore the Ming. Li Chooi Peng nodded her head. Chee Seen was very please and led her forward. After the main hall, there was another hall. On top was written “Red-Flower Pavilion”. There was much history behind the words. When the Qing defeated the Ming, a Ming general Zheng Cheng Gong retreated to Taiwan and organized Heaven-Earth Society with the purpose of overthrowing the Qing and restoring the Ming. They met at Red-Flower Pavilion. The first patriarch of Hoong Moon, which meant Dynamic Gate, and was a gigantic secret society dedicated to overthrowing the Qing, the Venerable Tat Chong who gathered a lot of heroes and kungfu experts, named one of the halls in his temple “Red-Flower Pavilion”. Behind Red-Flower Pavilion was a back hall. On top was hung a plaque with four words, “Restore Right Remove Evil”. Ordinary people might think the plaque glorified the tremendous power of the Buddhist faith, but its hidden meaning was to restore the Ming Dynasty and remove the Qing Dynasty. This entry was posted in Grandmaster Wong Kiew Kit, Kung Fu, kung fu culture, legends, Shaolin, Shaolin Temple, Shaolin Wahnam, stories and tagged Grandmaster Wong Kiew Kit, Kung Fu, kung fu culture, legends, Shaolin, shaolin temple, Shaolin Wahnam, Stories on May 8, 2018 by Wei Joo Lee. When we practise qigong and need to have a good result we have to be a strictly vegetarian. Is that true ? It depends on your school of qigong that you practise. 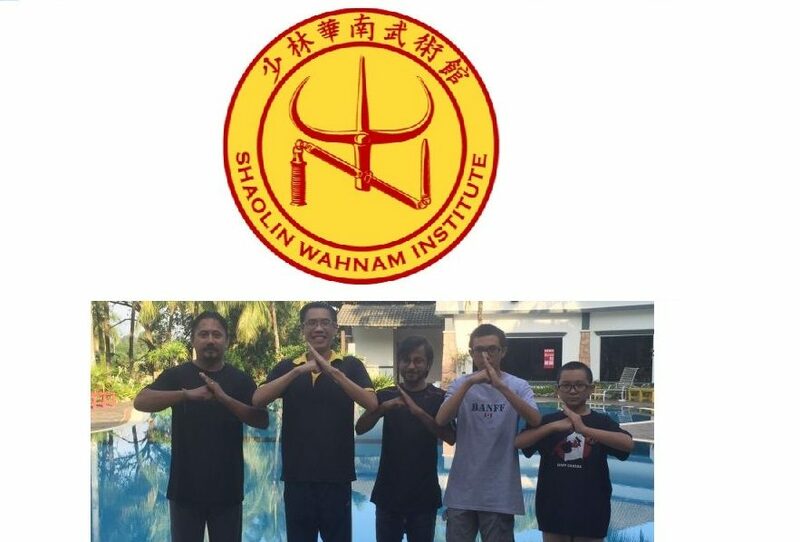 In my school, Shaolin Wahnam, it is not necessary to be vegetarian to enjoy the good results and benefits that our chi kung practise gives us, such as great healthy, vitality, longevity and spiritual joys.